Leo's is available for on-site corporate events, weddings or private family functions. 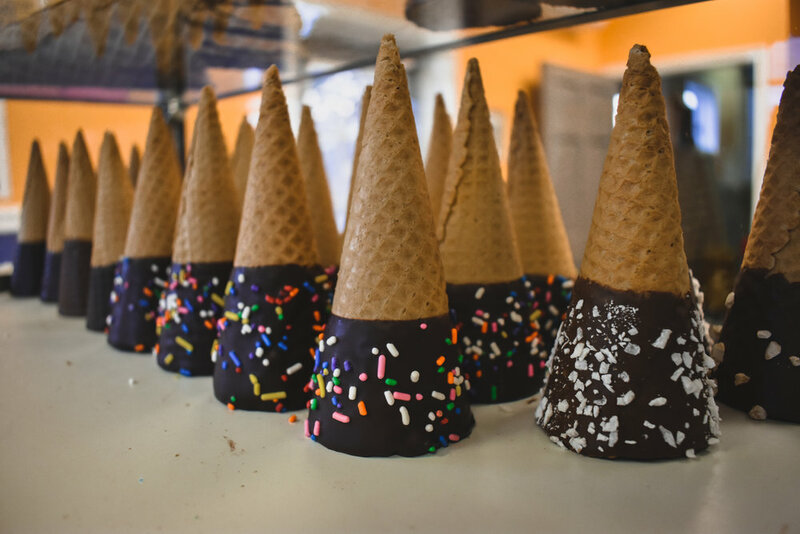 Our professional staff will help you select ice cream flavors specifically for your guests, as well as handle event set up, service, and clean up. Whether in our home or yours, we are committed to providing the best Leo's Homemade Ice Cream experience possible. Catering is available for parties of 100 guests or more. Please contact us as early as possible to confirm availability, determine pricing, and relay any special requests. Includes up to four flavors of ice cream, service products, and staff to set-up, service for two hours, and clean up. Also subject to a $50 setup fee.